The Challenge The Mosaic Company was releasing a new line of premium potash products—the first-ever micronutrient-enhanced potash in the industry. The goal was to distinguish this brand within Mosaic’s premium product portfolio. Targeting select retailers and growers around the globe, the brand needed to be immediately identifiable as a crop nutrition product that could increase grower success by improving yields and ROI. 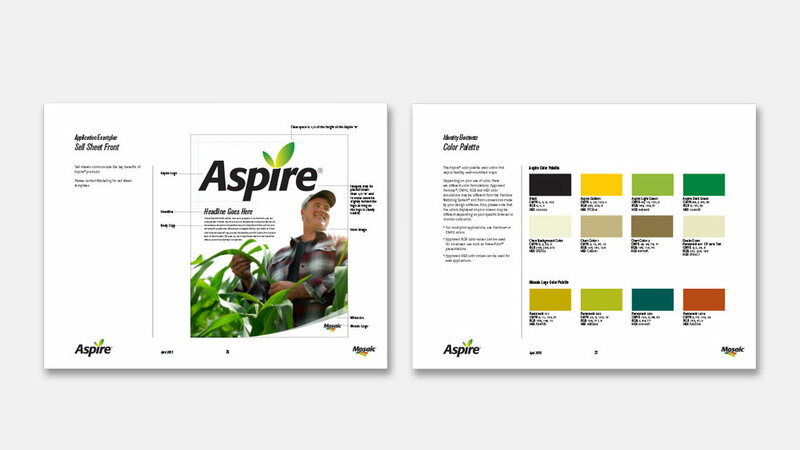 The Solution Franke+Fiorella developed the Aspire® brand name and visual identity to reflect healthy plant growth that moves from nutrient deficient to nutrient rich. The brandmark stands out from competitors, conveying the product is innovative, bold, progressive and trustworthy. 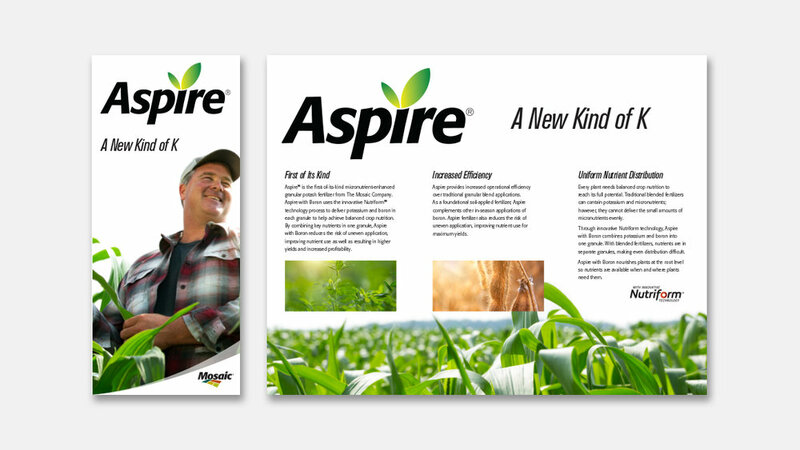 The Aspire® brand launched with a website, posters, print collateral, truck wraps, videos and ads. Franke+Fiorella developed identity guidelines to communicate brand strategy, key messaging, brand identity elements and application examples for many key touch points.